University of Kerala conducts thousands of examinations in hundreds of different courses in two sessions every year. University examinations are conducted in more than 250 affiliated colleges spread in Thiruvananthapuram, Kollam, Alappuzha and some parts of Pathanamthitta districts. One of the first 16 Universities in India, the University of Kerala was founded as the University of Travancore in the erstwhile princely state of Travancore (now southern part of Kerala and some neighbouring parts of state of Tamilnadu) in 1937. During the 7 decades since the University of Kerala grew and shrunk physically and transformed itself in many ways. It is difficult to summarise what the Kerala University is in a brief space. The earliest origins of the University may be traced back to two institutions of modern learning in Kerala, the University College, Thiruvananthapuram and the Trivandrum Observatory. The University College was initially founded as the Maharaja &rsquo's Free School by Maharaja Swathi Thirunal in 1834, with Mr John Roberts. A Christian Missonary as Headmaster, and soon grew into a college in 1866, affiliated to the Madras University. When the University of Travancore was founded, the Departments of the college became the University Departments, only to switch back again when the transformation to University of Kerala happened in 1957. The University College still retains its connection with the University as an affiliated college. The Trivandrum Observatory was founded in 1838 and had an internationally reputed scientist, John Caldecott FRS as its first Director. It became a part of the Travancore University, but for some time was administered as a independent government institution. 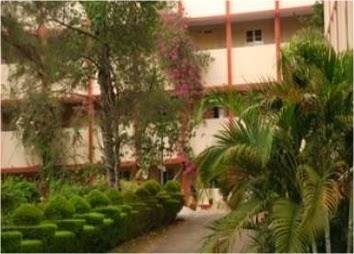 It is now the oldest institution under the Kerala University. The University of Travancore was established in 1937 by a promulgation of the Maharajah of Travancore, Sri Chithira Thirunal Balarama Varma who was also the first Chancellor of the University. Sir C. P Ramaswamy Ayyar, the then Diwan (Prime minister) of the State was the first Vice-Chancellor. He was an eminent scholar and an able administrator. It is said the Government made an unsuccessful attempt to invite Albert Einstein to be the first Vice-Chancellor. The University was modelled after the best Universities of the United Kingdom, and even today retains some of these features. The affiliating system of the University however evolved to be different from the college system in British Universities.